WOMEX (World Music Expo), which started in Berlin, Germany in 1994, celebrated its 18th anniversary this year. The most important international festival of world music recognized by UNESCO, WOMEX highlights folk and traditional music from different countries and also jazz. 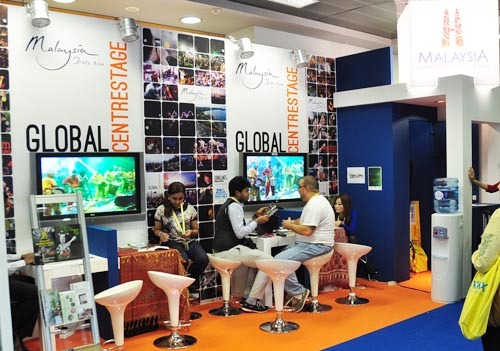 An exhibition, diverse showcase performances, a conference, networking occasions and a film market also take place, offering an efficient global networking opportunity to artistic directors of festivals, promoters, record labels, distributors, artists, management companies and booking agencies. 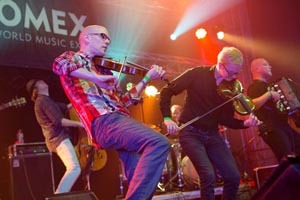 WOMEX was held in Denmark for the past three years. Based on its principle of changing its venue every three years, this year it took place in Thessaloniki, Greece, from October 17 to 21. From 2013, the venue will change every year. In 2013, it will be hosted by Cardiff, in the UK and in 2014, in Santiago de Compostela, Spain. Statistics show that this year's event attracted 2,200 participants from 90 countries, numbers a bit smaller than those of the previous year (2,250 participants from 98 countries). Despite the reduced number of participants, this year's WOMEX was as fascinating as the previous ones. The showcase is the crown jewel of WOMEX. A total of 61 showcase performances from 50 countries, including 36 official performances and 25 unofficial ones, were presented at eight theaters. 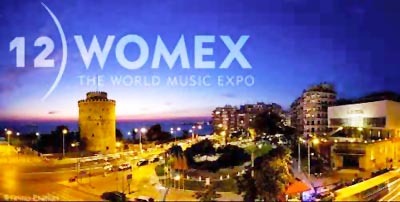 Although WOMEX lasts for five days, there is no showcase on its first day when the opening ceremony is held and on its last day when the closing ceremony takes place. This means that all of the 61 performances must be presented over just three days. Each performance is given 45 minutes so the showcase runs from 1 p.m. until 4 a.m. the next day. Various types of theaters, including a large standing club, a small club and concert hall, were used. Last year, 750 performing artists applied to be part of the official showcase setting the record for the largest number of applicants ever in the history of WOMEX. This year however, the record was broken; with about 850 artists, representing around a 12% increase, applying. The tough situation in the performing arts market may have pushed the troupes toward the greater opportunities that become available through performing at WOMEX. Among the 850 applicants, only 32 of them were invited to be part of the official showcase. For this year's official showcase, Geomungo Factory was the only Korean group to be chosen after coming through a competition with 25 other artists. Performers that want to apply for the showcase are required to apply on the website of Sonic Bids (http://www.sonicbids.com/). WOMEX's jury of five, which is newly formed every year, selects the artists that will perform during the official showcase. Among the 32 artists chosen for the official showcase, 20 of them are then selected again to be given the opportunity to contribute to the promotional compilation record called "WOMEXIMIZER," a record which is distributed for free to all participants during WOMEX. Geomungo Factory was also one of the 20 chosen meaning the group's music featured on the record which greatly contributed to the group's promotion. The artists that are not selected for the official showcase can still be chosen for the unofficial performances called "Off WOMEX." In this case, the performers must pay all of their performance costs so it is difficult for individual groups to apply for this without any external support. For this reason, these groups usually receive government support. Some countries even allocate a large portion of their budget for this event so that several musicians can prepare one-day of performances. For this year's Off WOMEX, the three days were allocated to the Nordic countries, Italy and Brazil respectively. This is an occasion for each country to demonstrate its own music and to have full control of the structure of its performance. The governments thus lend active support to the artists participating in Off WOMEX. This year, Off WOMEX actually attracted a much larger audience and received more attention than the official showcase performances. 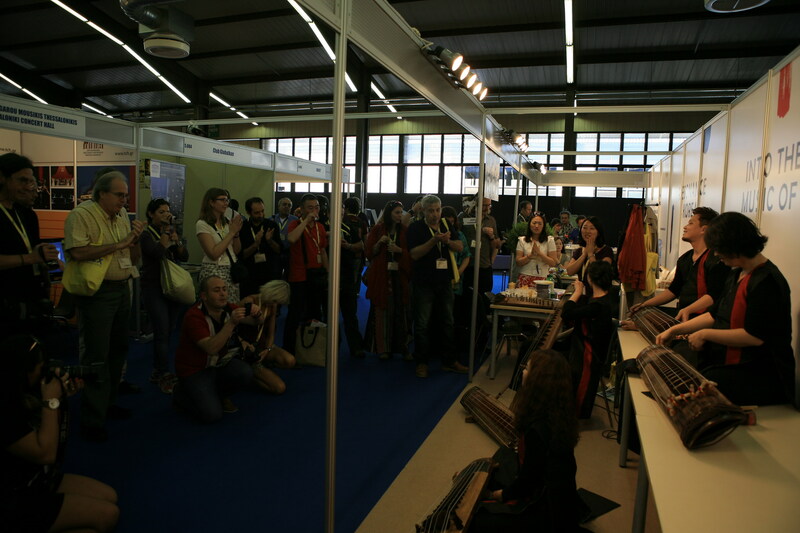 A trade fair was also held during the daytime throughout the three days of WOMEX. 600 organizations from 40 countries participated in the fair with 245 booths on display. The booths were installed on the first floor of two buildings. The exhibition halls were so spacious that it wasn't even easy to look around all of the booths. Since there were so many booths, several booths were combined together to form a large national pavilion. This year, 10% or 26 out of the 245 booths belonged to the national pavilions of Korea, Brazil, the Nordic countries and Turkey. Some booths were decorated in a way that emphasized the country's characteristics and others promoted themselves by opening a café or a bar. As for the booths belonging to a national pavilion, all representatives from the same country shared the same space. It is more efficient than having separate booths. Since it costs so much for individual organizations to install their own booths, public resources are used to enhance efficiency and lessen their financial burden. This year, the Korean pavilion was shared by Jeong Ga Ak Hoe (Minyoung KIM), Esternox (Seokjin LEE), Cheong Bae Yeon Hi Dan (Sujin LEE), Gamin (Hyoseon KANG), Geomungo Factory (Juik PARK), Nae Deu Reum (Gudae KIM) and the Ulsan World Music Festival (Jeongheon LEE and Min-kyung KIM). Using a national pavilion, however, does have some disadvantages. Deulsori, another Korean group, ran its own booth separately from the Korean pavilion. The group seems to have made such a decision in order to promote itself more effectively because negotiations about potential performance tours mostly take place in a booth. 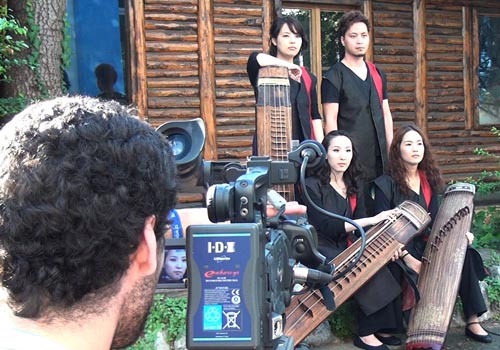 Moreover, Deulsori has participated in WOMEX and in overseas markets for several years so it has significant knowhow and personal connections. Thus, it was an effective strategy for the group to have a separate booth, distinguishing itself from other Korean groups. WOMEX is a market whose main goal is to promote and book performances, but it is not its only goal. It is also a venue for music-loving experts to exchange information and to talk about the present and future of music. About 70 speakers from 30 countries provided the participants with diverse practical information including how to participate in WOMEX (for those who are not yet familiar with the event), how to prepare documents on overseas promotion, what international copyright is, how to register music for digital downloads and what strategies they can use to get funding and organize overseas tours. Suggesting different methodologies, the speakers were mostly discussing how to increase the distribution of music. As the recorded music and performance markets have been depressed for quite a long time, the general theme of this year didn't seem to be much different from that of last year. There was also a round table where multiple speakers held a discussion and a mentoring session which allowed the participants to talk to each other one on one. 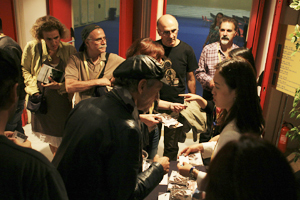 IMZ Film Screenings served as an occasion for participants to learn about other countries' music. This exhibition of documentaries on world music hosted by Austria's International Music + Media Centre has been an official part of WOMEX for the past 11 years. The exhibition not only introduces performances but it also explains the origin of the particular style of music shown, in an attempt to help the participants better understand each country's music. If a participant is interested in a particular country's music, they can watch the documentary on that music. Afterward, if they invite musicians from that country to perform, they will be able to organize the event based on the deepened knowledge. This year, 17 documentaries were screened and many of them described the music of the Balkan Peninsula. Although Offline WOMEX is finished in five days, performances and networking through WOMEX continues online. Almost all of the showcase performances are recorded in cooperation with public radio stations including BBC (UK), ERT (Greece), RBB & WDR (Germany) and NRK (Norway) so that they can be distributed through the European Broadcasting Union. In addition, Mondomix (France) also video-recorded its showcase (The recording cost of 450 euros was paid by the group.) to distribute the video online, on the troupe's website and YouTube, for example. Moreover, all participants of WOMEX have access to a website called "Virtual WOMEX" for a year. This website helps performers easily promote their performances online before and after WOMEX and for promoters to gather information on major participants. In particular, the website makes available not only the participants' details and contact information but also information on how long they have participated in WOMEX. It is thus easy to get information on major foreign artists. The participants see each other in person only for five days but these diverse tools allow them to be exposed to the overseas market continuously so that they can achieve concrete results. 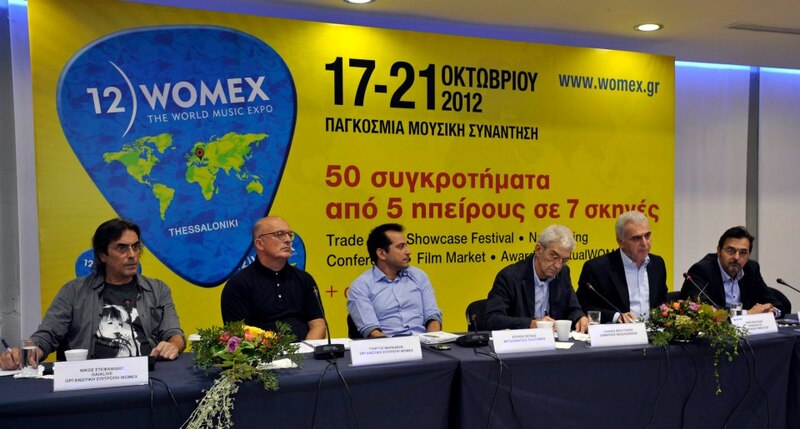 WOMEX continues its growth as the center of world music. As the number of jazz musicians started increasing in 2010, a special session came to be devoted to jazz so that they can have their own networking venue. Furthermore, a classical music version of WOMEX was launched under the name "classical: NEXT" in Munich, Germany in spring 2012. Its structure encompassing a showcase, a conference, film screening and an exhibition is similar to that of WOMEX. Indeed, it is a "sister event" making use of the same knowhow and personal connections as WOMEX. Jazz and classical music experts, who used to participate in the world music market WOMEX, can now participate in a separate event of their own. This is seen as a strategy to make each genre independent in order to expand the venue of networking and to attract more participants. It is to see if such an attempt will contribute to either the expansion or contraction of the world music market. Jungeun SONG is in charge of the international tour manager at Geomungo Factory. She has worked for Korea Arts Management Service. She is interested in facilitating the internatinoal tour of Korean theatre, dance, and traditional music.